Hardly a day after US President Donald Trump announced his administration is withdrawing from the JCPOA, the 2015 treaty that suspended Iran’s nuclear program, multiple locations in Syria were struck. 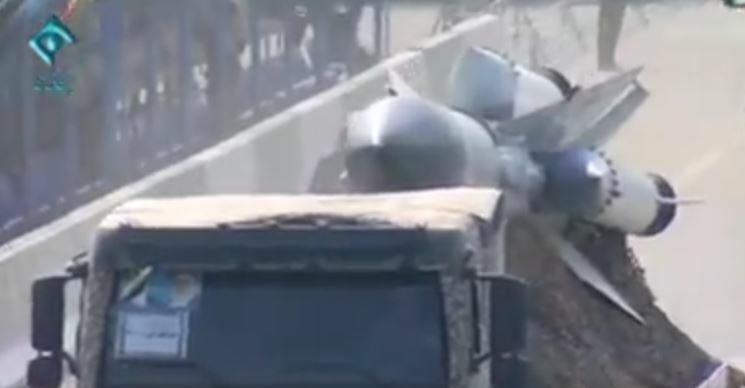 Based on details shared by Israel’s defense ministry and various news agencies, at least six locations between Damascus and the Golan Heights were attacked by the IDF with missiles. The reason for the air offensive was to neutralize suspected Iranian bases that were either operational or under construction. It’s now apparent an even more destructive regional war is brewing in the Middle East and its aim is rolling back Iran’s growing clout over its Arab neighbors. But how prepared is the Islamic Republic for a clash with the combined strength of Israel and the US? A military parade on April 18 to commemorate the armed force’s role in the Iran-Iraq War offers some clues. These gentlemen are supposed to hunt for low flying enemy aircraft while riding on motorcycles and carrying shoulder-fired SA-16’s. How their tactics are supposed to work in real combat is anyone’s guess. The Artesh are the only army in the world that uses British-made Chieftain tanks. Iran had more than a thousand of these during the Shah’s reign. Now they’ve criminally obsolete and don’t have any replacement. 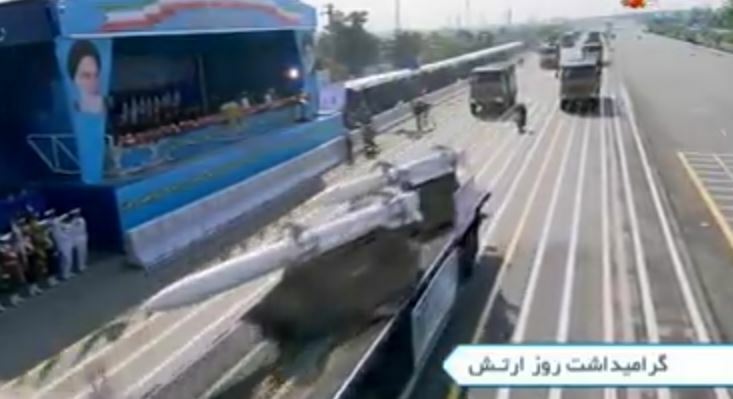 Any news of “modern” Iranian tanks should be met with serious skepticism. 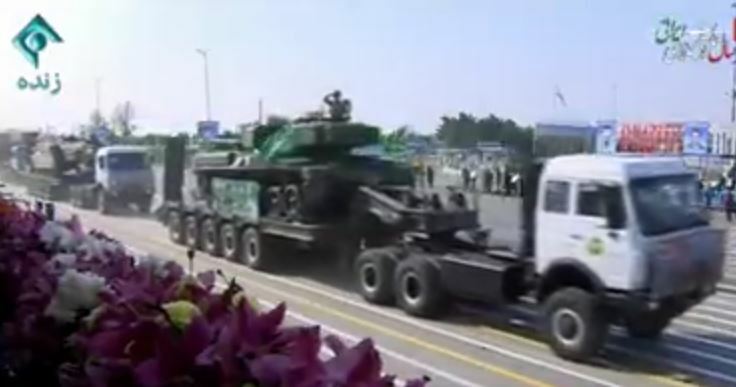 Seen at the April 18 parade was a US-made M107 self-propelled howitzer. It can lob a 175mm shell almost 40 kilometers. 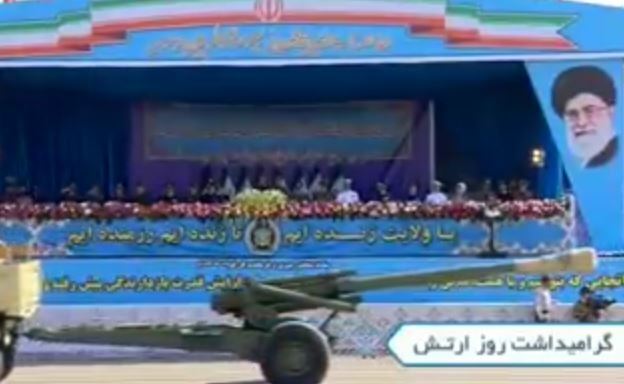 Iran still keeps the even larger M110 203mm howitzer. Where they get the ammunition for both is a mystery. The M107 was popular with US allies decades ago–even Israel had 175 of these. This towed artillery piece bears a startling resemblance to the South Korean KH179 155mm howitzer, which is an improved version of the US Army’s old M114 howitzer. Did Iran copy it or is the similarity just a coincidence? 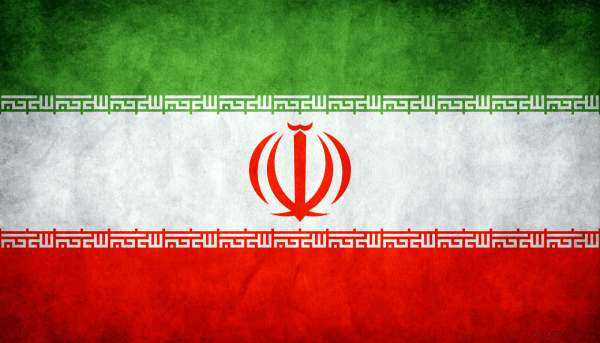 Iran has two military institutions under its government. There’s the regular armed forces known as the Artesh and then the Revolutionary Guard, who also deploy manpower from the Basij or volunteer militias. 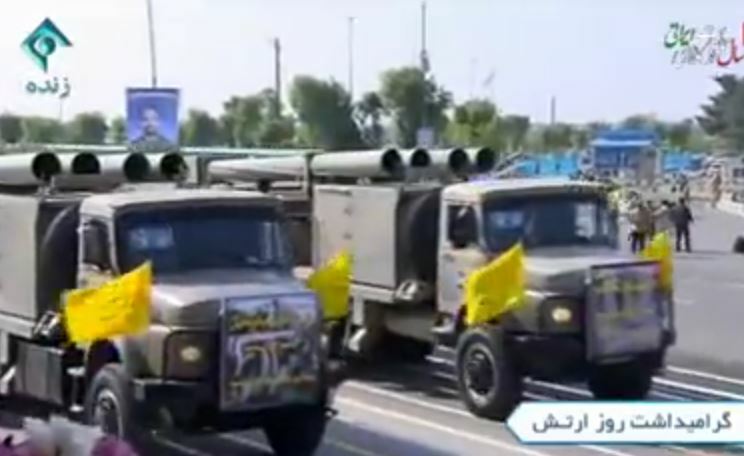 Last April, however, the Artesh brought most of its conventional weapons to a parade ground near Imam Khomeini’s mausoleum in Tehran. 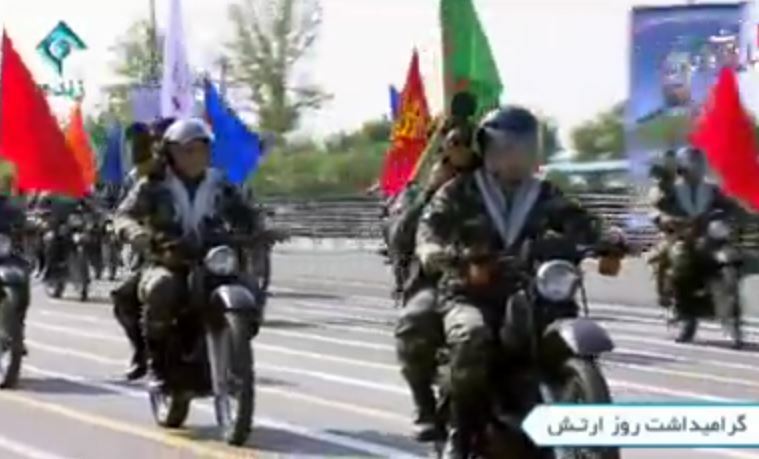 Iran’s own version of annual military parades are a far cry from the pomp and gravitas one usually witnesses in Beijing or Moscow. Everything heavier than a pickup truck needs to be hauled by a trailer and the arrangement and sequence of what’s shown is often baffling–why are scale models of ships included? Iran is one of the few countries that still manufactures anti-aircraft artillery in varying calibers. A recent “innovation” was installing tandem 57mm guns on a Ukrainian Kraz 6×6 truck. This should pose a mortal danger to drones and helicopters, at the very least. The Fadjr 5, which is armed with four 333mm warheads, could be the deadliest multiple rocket artillery system in the Middle East. Its range is estimated to reach beyond 75 kilometers and Iran claims it will soon unveil a new variant that would put Russia’s Smerch to shame. The Fadjr’s origins are North Korean. The Zelzal is believed to be one of the last true battlefield rockets still in use. It resembles the Soviet Luna rockets from the 1960s and its range might be more than 200 km. Zelzal rockets or their parts are believed to have been delivered to the Houthis in Yemen. Iran manufactures so many different kinds of ordnance. Among the most dangerous are the Ghadir anti-ship missiles that could be using either Chinese or Ukrainian technology. 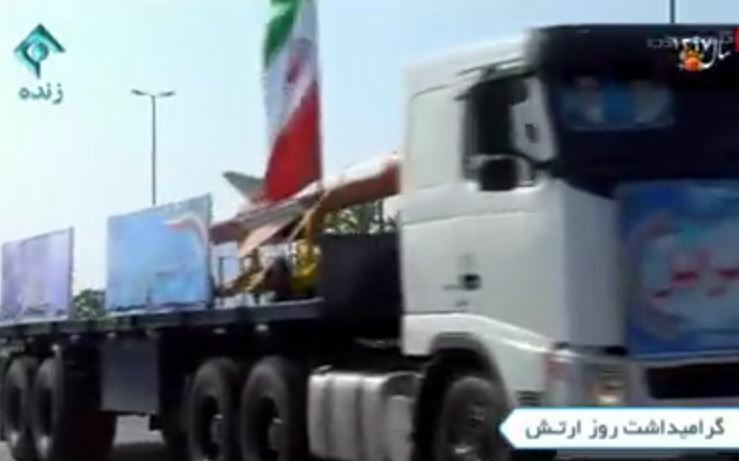 Iranian media claim the Ghadir has a range of 300 km and is deliverable by aircraft. If true, it poses a grave threat to shipping in the Persian Gulf. 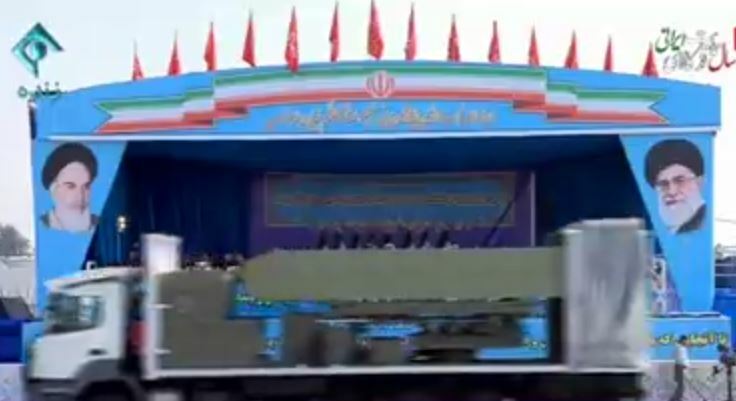 What Iran’s parades do reveal is the Artesh are stuck with an obsolescent arsenal dating back to when Shah Mohammad Reza Pahlavi was still in power. Observing the impeccable infantry squares, for example, reveals Iran’s soldiers are equipped much like the West German Bundeswehr from the 1960s. Even if local media constantly promote “technological” advances by state-owned industries, these are either overhauled equipment or copies of Chinese, North Korean, Russian, and US hardware. 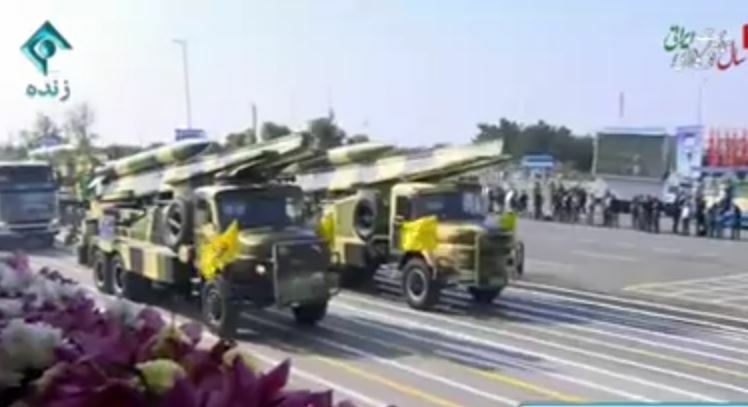 There’s little to be impressed about in the 2018 parade and it seems even the IRGC held back from displaying its full range of ballistic missiles. But what serious analysts and spy agencies shouldn’t miss are the startling variety of anti-access weapons that Tehran now deploys. These span air defense, cruise missiles, and precision bombs that aren’t used by any of its neighbors. This is a Soviet-era S-200 missile also known as the SA-5. It was one of the most potent SAMs in the world during the Cold War. An S-200 had a maximum range of 300 km and could bring down long-range bombers like the B-52. The Islamic Republic did buy huge stocks of Soviet weaponry in the 1990s and until a few years ago, the S-200 was its best air defense missile. 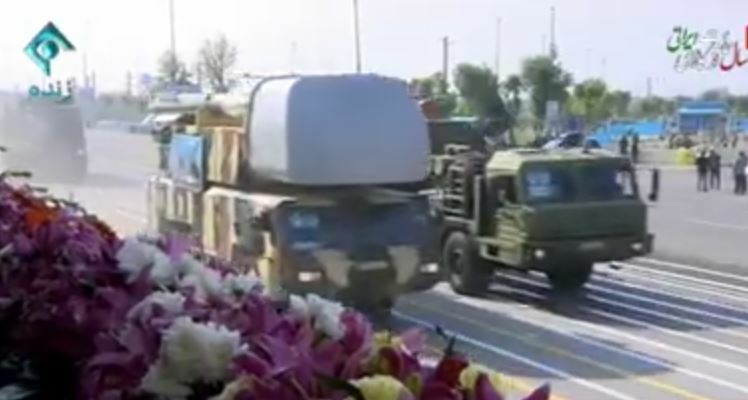 The April 18 parade featured the medium-range Raad SAM alongside the newer S-300PMU-1’s bought from Russia. Iran only has five S-300PMU2 battalions, which is just enough for defending a few major cities. The Raad, on the other hand, is similar to the Soviet 2K12 Kub mobile SAM and is deployed in greater quantities. 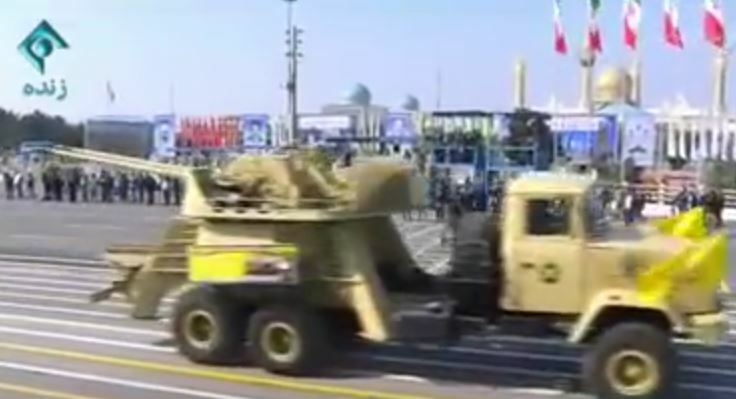 The need for a true “theater air defense” capability forced the Iranians to develop the Sayyad 3. Its characteristics are similar to the missiles used on the S-300 and the Chinese HQ-9. 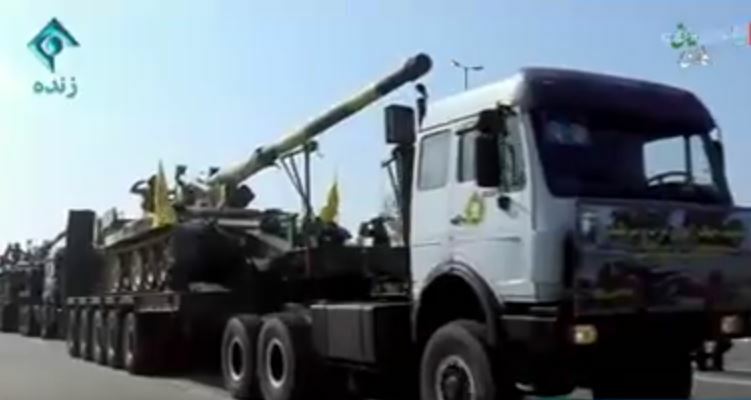 The Sayyad 3 is copied from the US-made RIM-66. Its maximum range is estimated to reach 120 km and it can engage targets up to an altitude of 27 km. The Sayyad 3’s are deployed in twos on a truck bed as part of a mobile SAM system called the Bavar-373. The Noor anti-ship missile is the most advanced shore-based weapon used by the Iranian military and its production numbers are growing. The Noors are carried in threes by modified commercial trucks. Once deployed, these missiles are bad news for any naval vessels sailing within 200 km off Iran’s coast. It’s okay to dismiss Iran’s conventional military as a paper tiger full of marginally skilled conscripts and volunteers. But there’s enough evidence in the public domain that suggests the neoconservative obsession with imposing regime change on Tehran won’t be nice and easy. The air defenses and shore-based weapons inside Iran must at least give its rivals pause to think. Should they or shouldn’t they?